Cold brew refers to the process of steeping coffee grounds in room temperature or cold water for an extended period. Cold brewed coffee naturally seems softer due to its lower acidity, because the coffee beans in cold-press coffee never come into contact with heated water, the process of leaching flavor from the beans produces a different chemical profile from any other brewing methods. The extraction of coffee is a chemical bond between coffee and water. 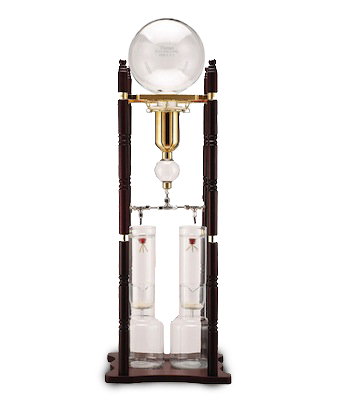 These cold drippers are made of tempered glass of the highest quality in Taiwan. They are both ornamental and functional and produce exceptional coffee (or tea). 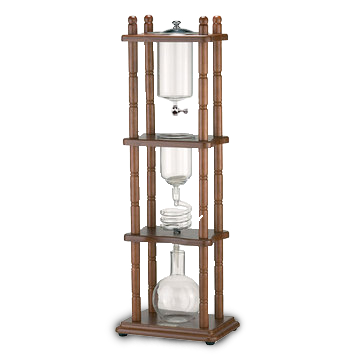 The idea behind the slow cold brewing method is to experience the coffee (or tea) flavors without the tannins, bitterness and astringency that you usually get from a hot and fast brew, while still extracting the chocolate, citrus and fruity notes. 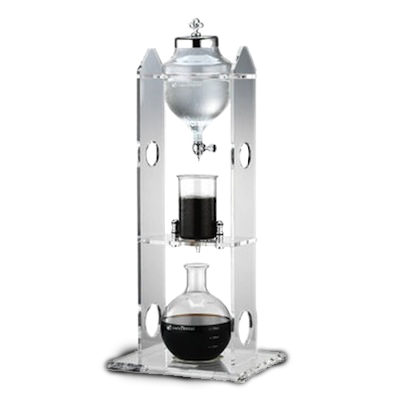 These elegant coffeemakers use the classic cold-drip method to produce a full-flavored cold drip coffee. Store your extraction in the fridge and drink neat in a cold glass or over ice, perfect for a hot summer afternoon. We have the full range, spare parts and filters in stock. We ship this items daily world wide. You can purchase these and much more form our on line shop.